Lift-the-flap books are fun for students from kindergarten to college! A few folds, a few cuts, and – voila! – you’ve got a graphic organizer that can be used for any type of two-part response. Fold a piece of paper in half lengthwise (hot dog fold). Then fold it in half crosswise (hamburger fold) twice, so that the paper is folded in eight. Place the paper in front of you with the fold at the top and the opening at the bottom. Cut on each top fold line only to the center fold, so that the bottom is one solid piece and the top consists of four flaps. The flap book may be used horizontally or vertically. 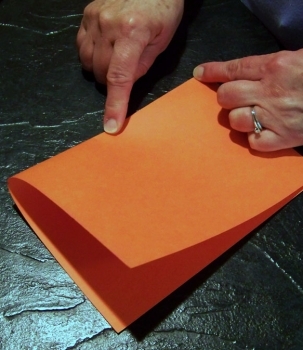 You can make a versatile graphic organizer by simply folding a piece of paper in four. Add another fold or two and it can serve a range of purposes. 1. 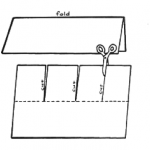 Fold a piece of paper in half (“hamburger” fold) and in half again (“hot dog” fold) to create four sections. 2. At the point where the two folded edges meet, fold up a small triangle. 3. When unfolded, the paper will have four sections with a diamond in the middle. 4. Fold up another triangle to make an additional section in each quarter. 5. If you’d like, you can fold a narrow strip (about 1 inch or 2.5 cm) across the top and bottom of the page to add headings to each section. 6. Write the character’s name in the centre diamond. 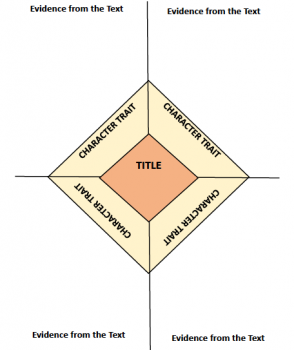 Write a character trait in each of the four sections around the diamond. 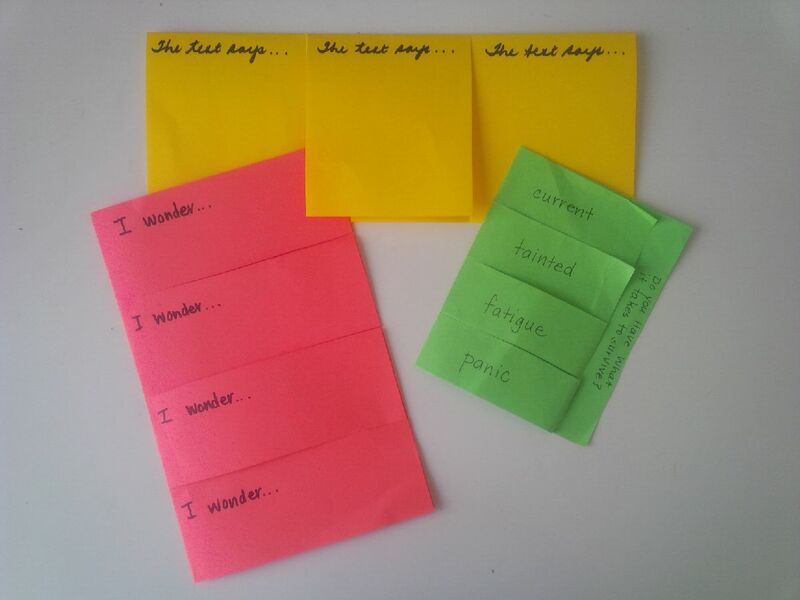 In the four large quarters, write evidence from the text to support the character traits.